Discussion in 'Interesting Shares' started by kkrish, Sep 14, 2018. It is quite a norm that we break a joke or two often on how pathetic women are in matters of driving. ‘You drive like a woman’– is an official insulting tagline, a man can ever get. Although recently women are breaking such stereotypes by taking their chances at things which they have been told to avoid, it was like a daydream for women 30 years ago. And driving trains? I guess that is still recognized as a male-oriented job. But do you know about a woman who kicked this stereotype and drove train 30 years back? 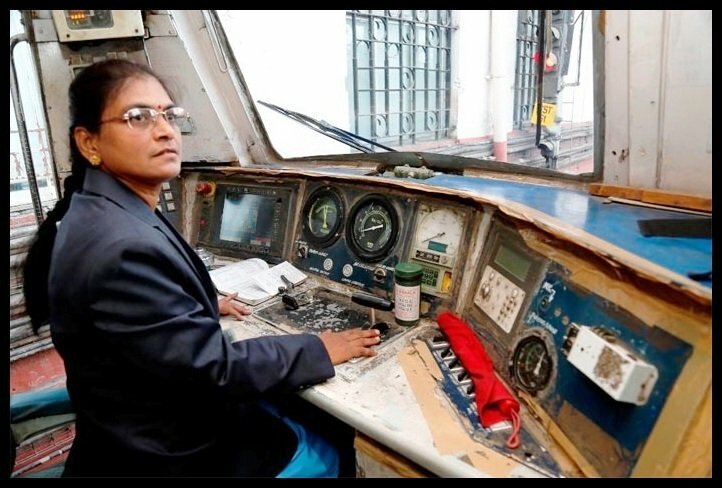 Not only that Surekha Yadav became India’s first female train driver, but she also became the face of breaking pathetic patriarchal norms. Let us hear out her story here. Born and brought up in Satara, Maharashtra, Surekha shares her birthday on 2 September of 1965. She was the eldest of the five children of her father Ramchandra Bhosale and mother Sonabai. Her childhood days were spent in Satara. She had her schooling at St. Paul Convent High School of Satara. After completing her school life, she went for a vocational training and completed her graduation in Electrical Engineering from Govt. Polytechnic College in Karad. Since her childhood days, Mrs. Yadav had an unidentified connection with trains. However, she never dreamt of being a train driver in her life. After completing graduation, she had plans to be a teacher. But fate had something else up her sleeves as she tried her luck in an Indian Railways exam in the year of 1986. Soon, she cleared the written examination, and she was interviewed by the Railway Board. In the year of 1986, she went for the Railways Interview, and she cracked it. She was appointed as a trainee assistant driver at Kalyan training school, and she trained there for six months. By the time of 1989, she became a full-fledged train driver. 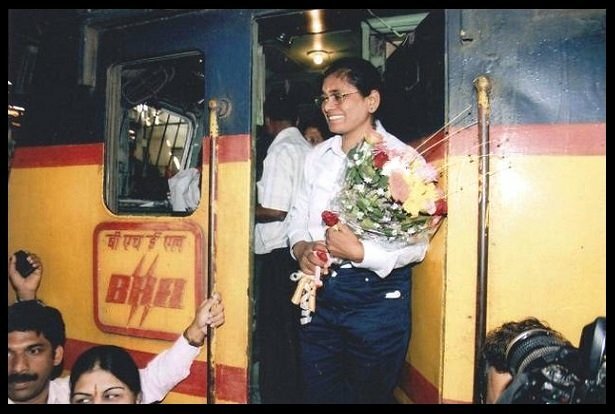 And she became the first-ever female to drive a train in India. However, from the year 1998 onwards, she was appointed as a goods train driver. She worked as a goods train driver for more than ten years. After that, she was given the training to drive trains for the Western Ghat Railway line in 2010. It was a challenging job for her. 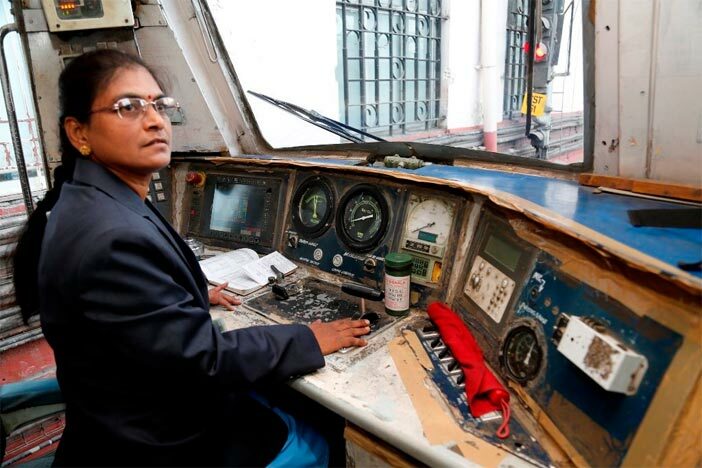 She was given the duty of a ‘Ghat-loco’ driver. No women ever were given that post before, so few officers doubted her capabilities. But nothing lasted, and she was appointed as a ‘Ghat-loco’ driver. By the time of 2011, she was promoted to the post of express mail driver. She also started teaching at the Driver’s Training Centre, Kalyan in 2011 too. It is true that when you decide to stand out, no one can ever restrict you. Our own will is the thing that is important. Mrs. Surekha Yadav is not only a train driver, but she is an inspiration for all the women out there who want to stand out from the crowd. More power to her! No changes were made to original article. Ads were removed. peddadas, vaidehi71, Laks09 and 4 others like this. Does anyone know Dr. Surekha of Fernandez Hospital ( Abids, Hyd)? Dear Madam @kkrish - Thank you for starting yet another educative series this time with women as the topic. I made a mental note to read the post about Velu Nachiyar today and saw that you have already posted the 3rd part of the series and gave it a go. Mrs.Surekha Yadav really has beat the odds to become the first female driver. Train journeys are always memorable. Hope you are well prepared for and are safe from Florence. My prayers for the safety of all living things in its path. Take care. Have a nice Friday ! I sincerely am happy to read your feedback. I always felt that we are capable of anything if we put our minds to it. I hope that these women inspire the many who may be wondering "if they can". "Yes, you can" is the message we need to take away from these women's lives. Thank you ma, I am safe from Florence, fortunately. We are only facing the lighter winds; however the only concern is flooding from the ocean. Now that it has made landfall, we should be good in a few hours. GeetaKashyap, shravs3 and PavithraS like this. These women are the path breakers. Hats off to them. Such an inspiring story @kkrish... Gives us lot of motivation to put a step forward and achieve our goals. Yes they truly are. My salute to them. I am glad you find it motivating.